The Delta Coaching trip is focused on learning and improving, especially in waves, but also with a focus in downwind techniques. An itinerary for those who are looking for shorter downwind stretches, with more focus on wave riding and performance. This route has a slower pace, without the goal of completing a challenging course. 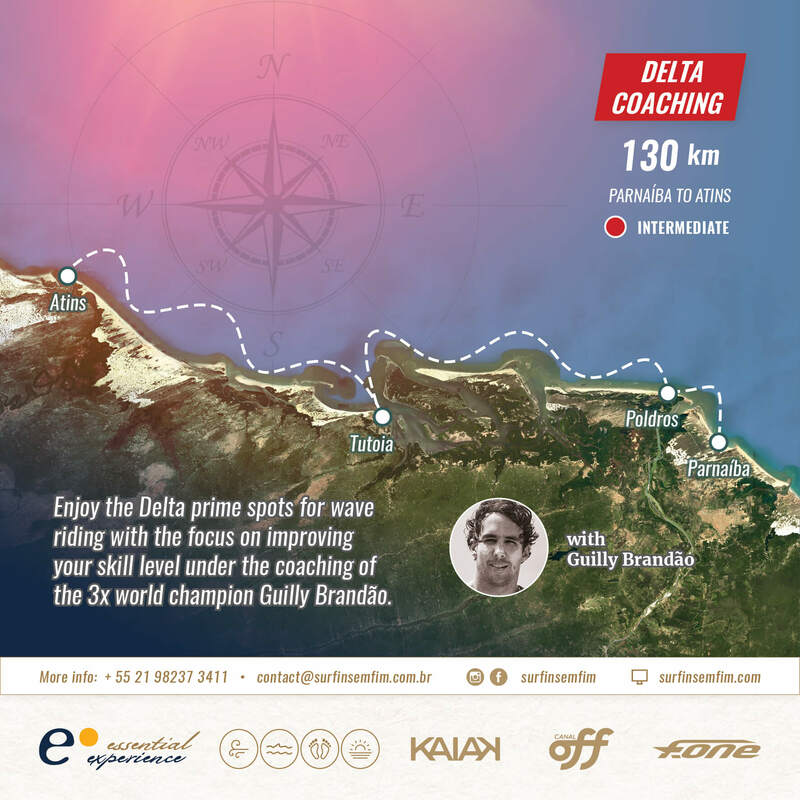 It’s similar to the Delta Experience route, but with the differential of coaching and some shorter legs in the final stages where there normally wouldn’t be good waves to enjoy. Check in and get comfortable! We’ll have dinner and get to know the group. Free ride session in front of Barraca da Pedra do Sal, with footage taken from outside of the water, for the first skill level analysis of each participant. On the descent to the Poldros, we will focus on catching waves before arrival / Ilha dos Poldros. 7km dedicated solely to waves before entering the River, and then we will shift our focus to downwind techniques while we’re on the river until reaching Barra do Caju. We’ll have lunch at Caju and go to see the flock of the Guarás / Ilha dos Poldros. A day focused on the waves. 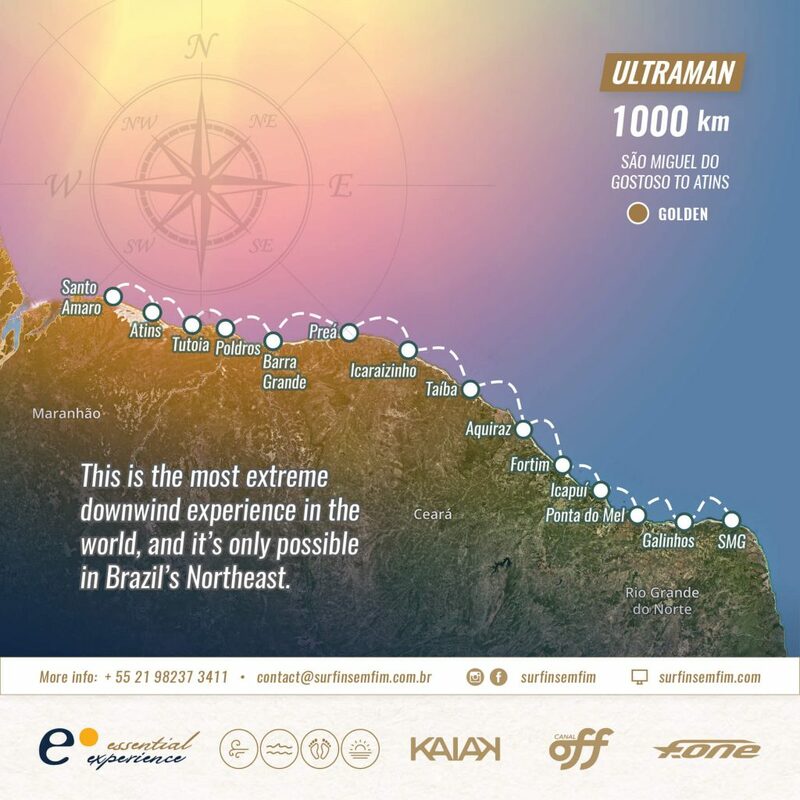 The first leg will go until a little before Barra do Caju (15km); we’ll take a break for some food and hydration. 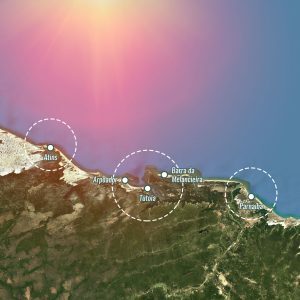 The second leg is to Barra da Melancieira (25km) where everyone will get on the boat and enjoy a trip through Igarapes to the Pousada in Tutóia or to the restaurant along the river / Pousada Jagatá. 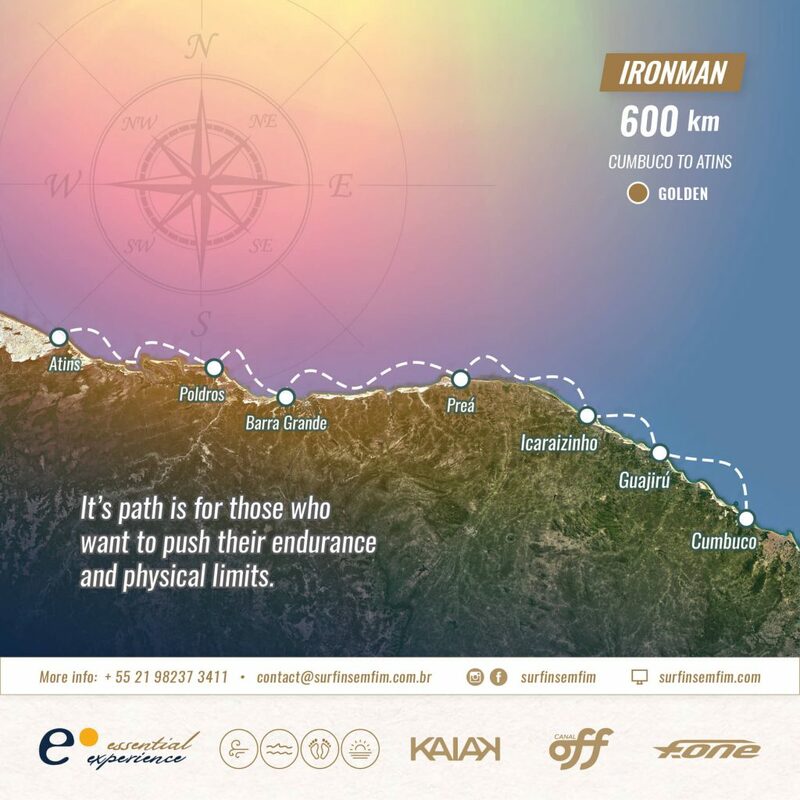 We will go for about 15 km until the point of the waves, where we will spend some time to enjoy the point and stop for food and hydration. Then we’ll do another 25km to Barro Vermelho / Vila Guará. The last day will close with the golden key. We’ll kite in the waves of Atins until meeting the car on the way to the Lagoons. We’ll enjoy a quick stroll to the lagoons for a dip or kiting session, and we’ll close the day with certificates ceremony accompanied by the psychedelic sunsets of the Lençóis / Vila Guará.